Hostas have no trouble holding their own in a shady garden. Yet there are many other shade-loving perennials that make excellent companions. 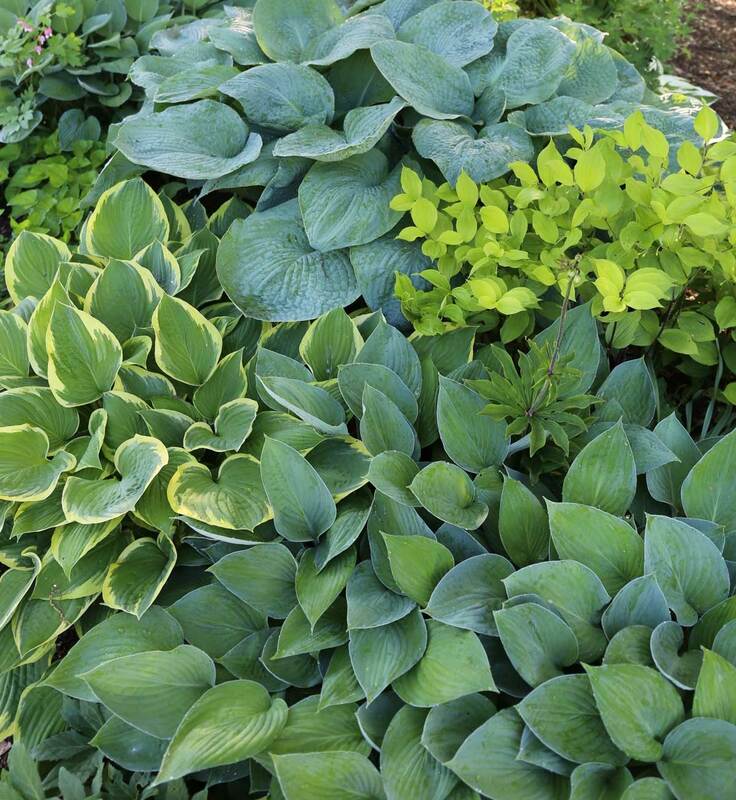 By adding their own contrasting colors, shapes, heights, and textures, these plants accentuate the simple elegance of the hosta’s foliage. Plus, they add months of early season interest. In the spring, hostas are slow getting started. This opens up many opportunities for spring bulbs and early summer perennials. In the spring garden shown above, hostas are nowhere to be seen. Yet from July through September, they occupy about 75% of the space. 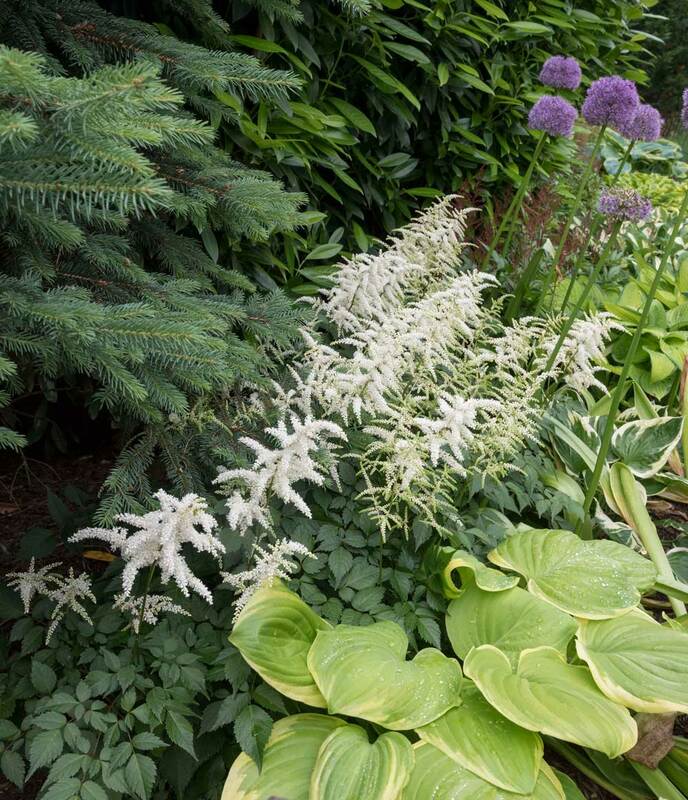 Pairing hostas with other low-maintenance perennials is an easy way to add variety and sophistication. 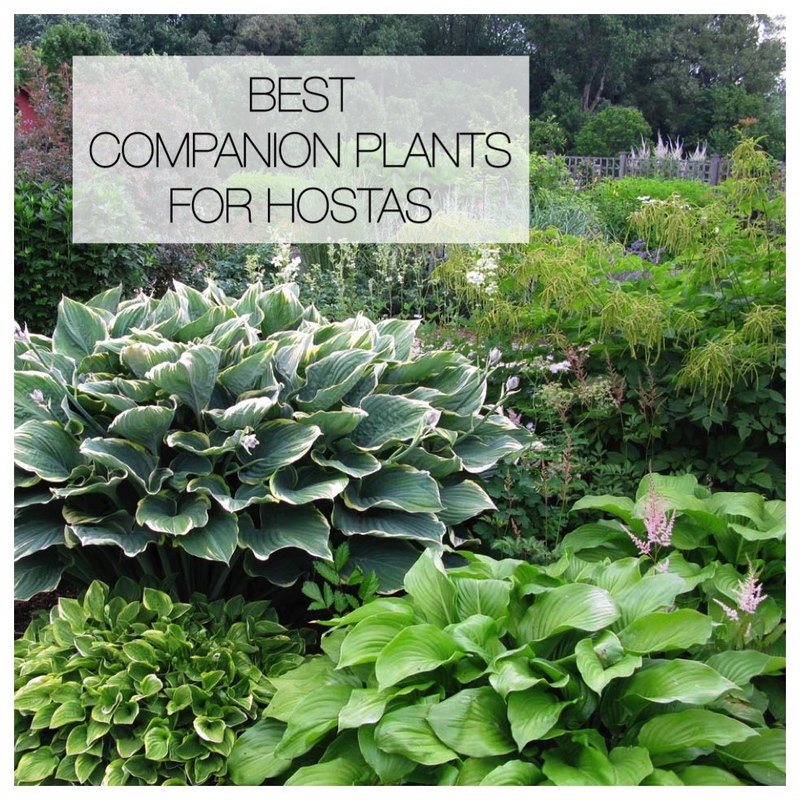 So, if you are thinking about creating a new shade garden from scratch, or have an existing shade garden that could use a little spicing up, consider pairing hostas with some of these easy, shade-tolerant companion plants. Velvety, spring-green leaves with zig-zag edges. Silvery hairs on the leaf surfaces turn water droplets into jewels. 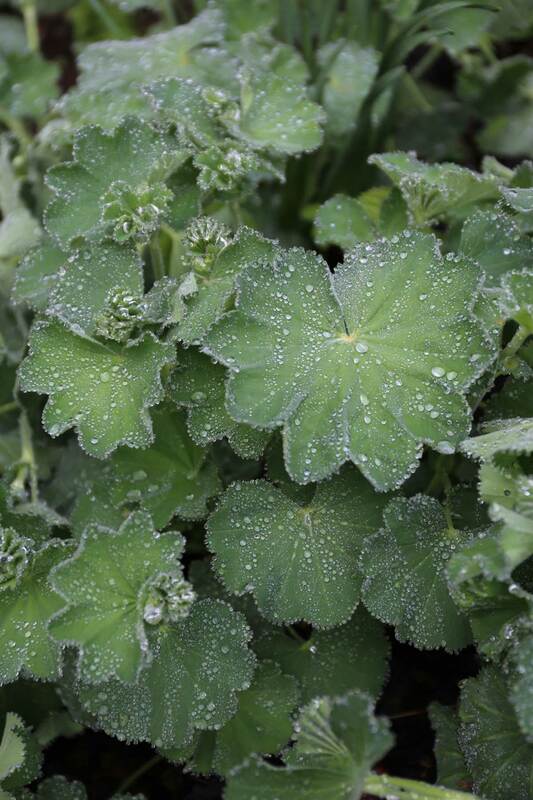 In early summer, lady’s mantle produces large clusters of tiny chartreuse flowers that are excellent for cutting. 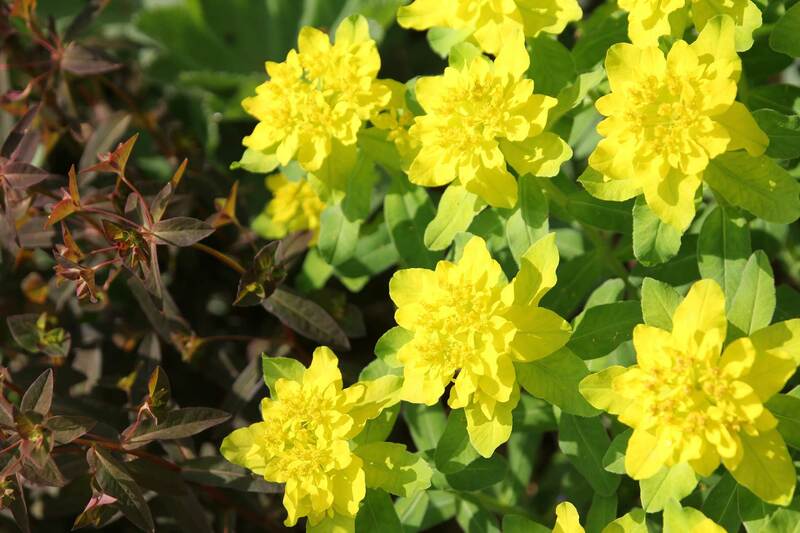 Tidy, trouble-free plants with attractive, dark green foliage. Astilbe’s showy, midsummer flowers have a fuzzy texture and colors range from white through pink, red and violet. 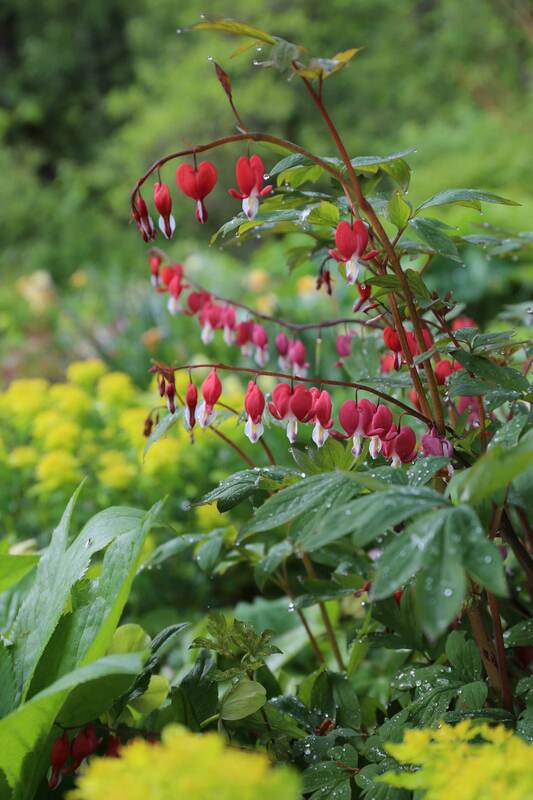 Dicentra spectablis emerges in early spring and quickly grows into an impressive 3 to 4-foot plant. Shortly after the blossoms fade, the leaves die back to the ground and the plant disappears until the following spring. This gives neighboring hostas plenty of room to spread out. Another spring-blooming perennial that is happy to take center stage while hostas are still waking up. 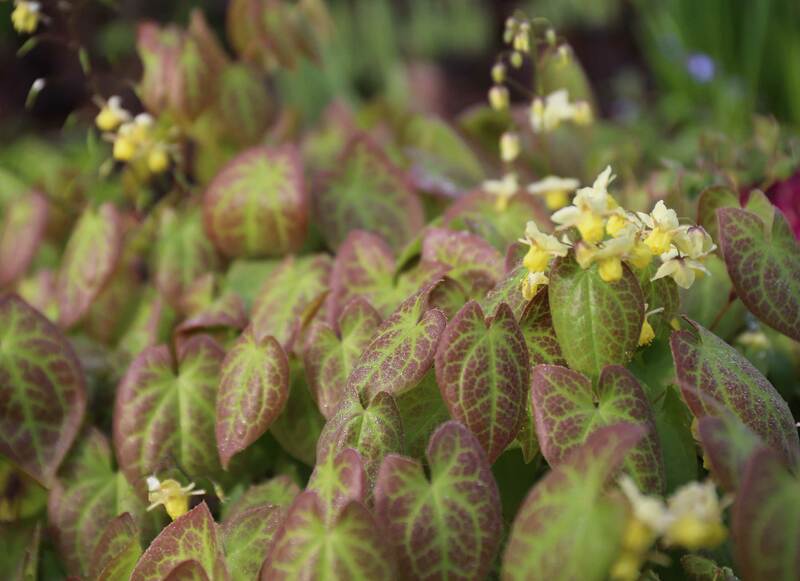 Decorative heart-shaped foliage and delicate flower clusters in white, yellow, violet or pink. 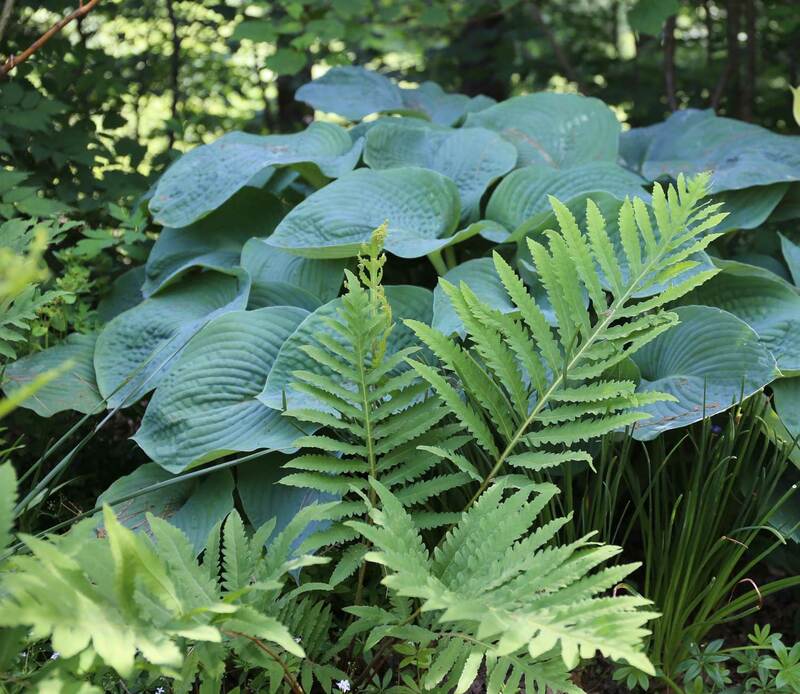 Ferns are as easy to grow and as long-lived as hostas. Their graceful form and finely-textured foliage is the perfect counterpoint to the hosta’s broad leaves and bulkier stature. Perennial geraniums come in all sizes, just like hostas. The texture of their foliage is finer and their growth habit is loose and mounding. Most varieties will flower on and off from early summer through fall. Heuchera are grown for their decorative foliage. Leaf colors range from shiny burgundy to felted orange, glossy lime, and silvery green. Midsummer flowers rise about a foot above the leaves and attract hummingbirds. This is a lovely ground cover for decorating the edge of your hosta garden. 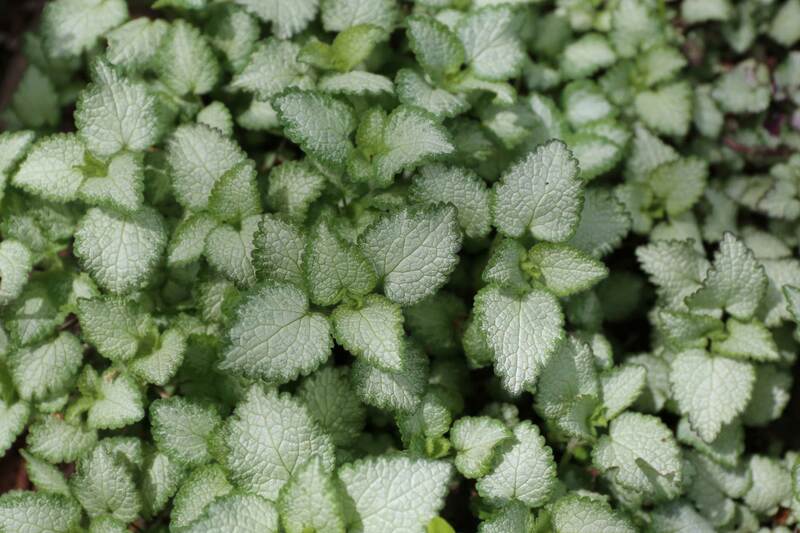 Look for low-growing varieties of Lamium maculatum that have silvery foliage and pink, purple or white flowers. In some parts of the country, lamium has escaped cultivation and is considered an invasive. Here is another shade plant with lovely foliage. 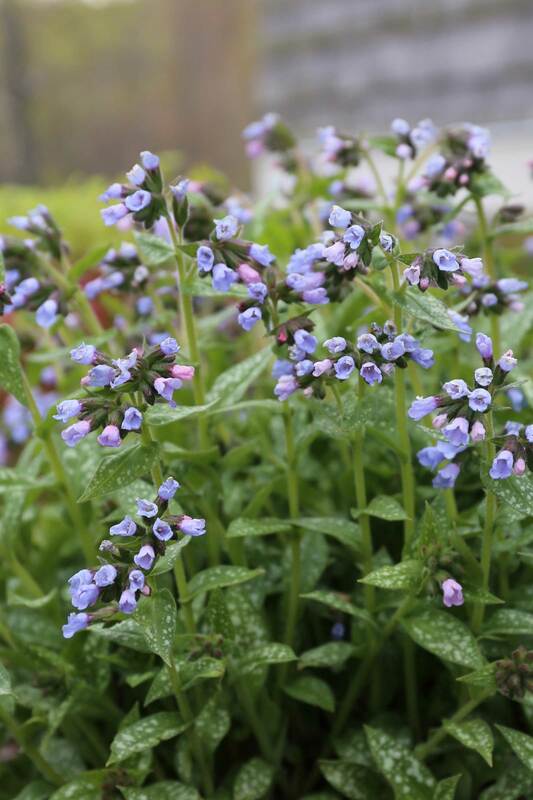 Lungwort’s soft, lance-shaped leaves are speckled with silvery-white spots. 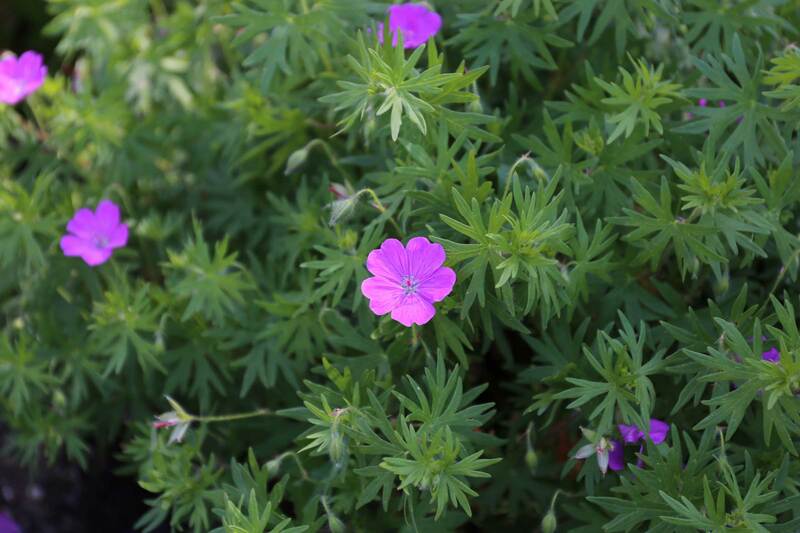 In late spring, the plants are covered with clusters of pink, blue or purple flowers, sometimes all on the same plant. 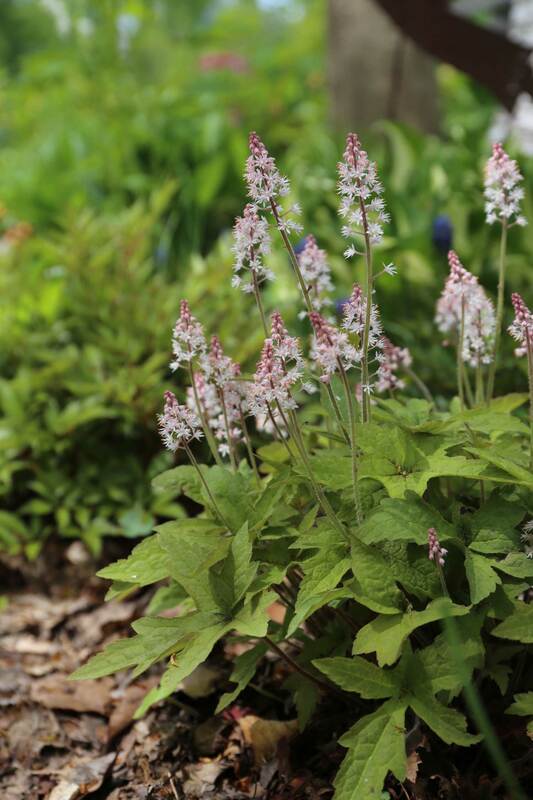 Tiarella is an endearing little plant. 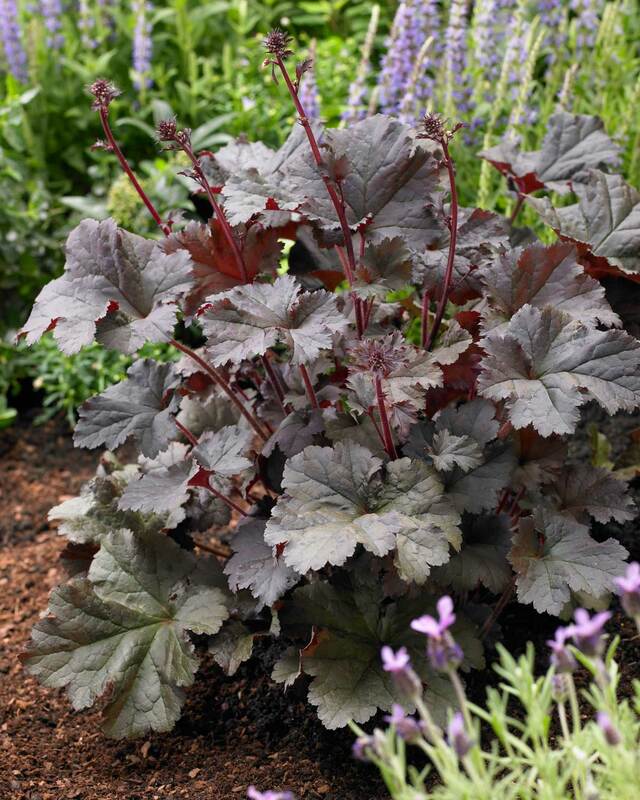 Its foliage is similar to a heuchera, but not as flashy. The pale pink, bottle-brush flowers appear in late spring. 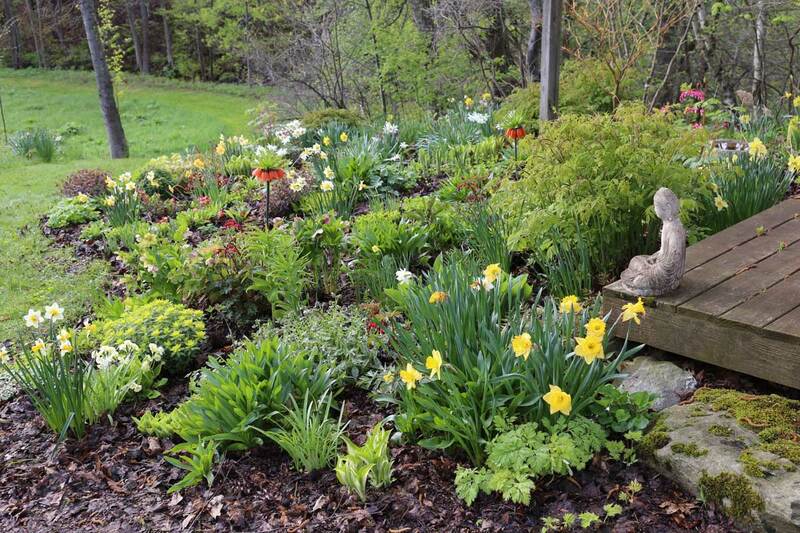 Spring bulbs are ideal companions for hostas. 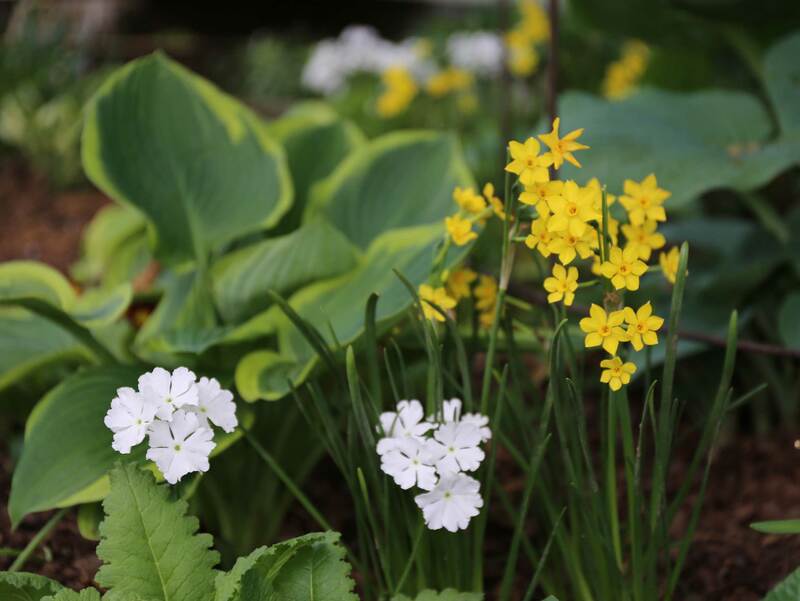 Eligible candidates include early-bloomers such as miniature daffodils, scilla, muscari, and fritillaria. To stretch the season into late spring, consider adding alliums. After these bulbs have finished blooming, the hostas will quickly cover up their fading foliage. We offer hosta plants and many of the other perennials mentioned in this article from March-May.